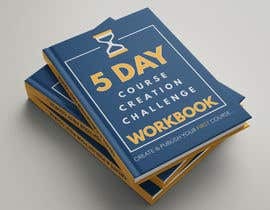 Need an ebook cover design for a digital workbook for a 5-day challenge. The design needs to meet our branding style and the template needs to be editable with Adobe software so I can add content to it in the future easily. I need a PDF eBook style cover design for a workbook that's going to be standard 8.5" x 11". The branding colors are the colors included in the images I am sending you. These are the gold and blue OCM branding images. However, I do not want the logo on the actual cover. You can pull from the colors and layout and type, just don't actually put the logo on the cover design. You are free to use any other images or graphics that you want. I would like to get the editable file, especially if you are using Adobe products so that I can edit any text that you put in or if I need to move some graphics around. Let me know if this is something you are interested in. Thanks!